© Saikat Chakrabarty. All rights reserved. This photo was taken on a event in Kolkata, India named "Happy Street". 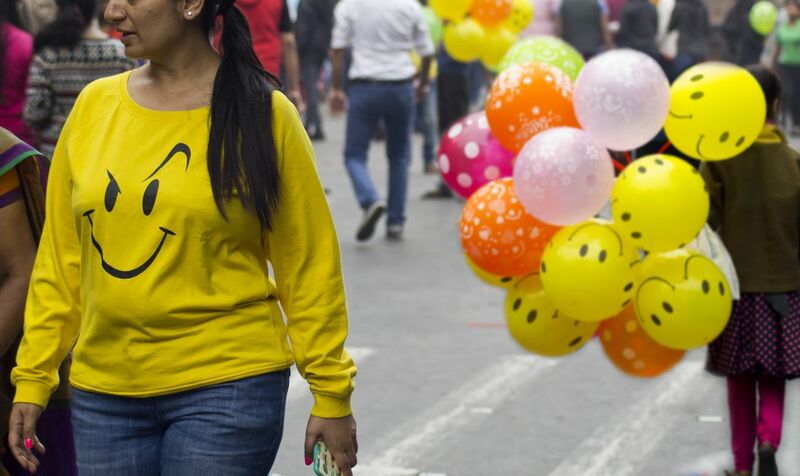 Here is a connections between smiles on balloons and the t-shirt of the lady. Date Uploaded: Nov. 27, 2016, 9:52 a.m.